The last play to be penned by Federico García Lorca, just a few short weeks before his execution in 1936 as part of Franco’s purge of Spanish intellectuals, La Casa de Bernarda Alba was first premiered in Buenos Aires in 1945. It is sometimes grouped with Blood Wedding and Yerma as part of Lorca’s rural trilogy, though, it was incomplete at the time of his death, at the age of just 38. I must admit to being unaware of this piece, however, a friend of mine is starring in a production of it, so I took a look at it on her suggestion. The text I am reading was a translation by Rona Munro for a 1999 tour directed by Polly Teale. Antonio Maria Benavides, the latest husband of Bernarda Alba has just died and the three act play begins with his wake and ends in dramatic and tragic circumstances. Bernarda, whose naming deliberately suggests masculinity, has five daughters — Angustias, Magdalena, Amelia, Martirio and Adela, aged between 20 and 39. Their names hold clues to their characters. Angustias — anguish, Amelia, Latin for industrious and Hebrew for love of God, Martirio - martyr and Magdalena, an allusion to Mary Magdalene. She is tyrannical in her control over her daughters, symbolised by the cane that accompanies her. There is her housekeeper, Poncia (referencing Pontius Pilate), who is forced to watch what happens in the house but has her objections fall on death ears and does little about it. Whilst, María Josefa (name derived from Mary and Joseph), Bernarda’s senile elderly mother is also one of the house’s eight residents. When considering the play, it is important to remember it was written during the Civil War era and perhaps Bernarda’s control over her home is intended to replace the lack of control felt by those under Franco’s regime. The plot is more character driven rather than story driven, and primarily focuses on Bernarda’s attempts to control her daughters, Angustias’s engagement to Pepe El Romano and Adela, whose name derives from the Spanish adelantar which means to move forward and her attempts to leave the control of her mother. However, the play expertly shows behind the closed doors of the Alba household, things are not what they seem. Bernarda demands tradition is uphold and that ‘a woman’s place is home’. She insists nobody in the village is worthy of her daughters’s hands in marriage, but her daughters bicker and gossip like teenagers. The idyllic “peace at home” that Bernarda strives for simply does not exist. None of the men in the play have speaking roles, all interaction between the girls and male characters happens off stage and through this Lorca explores the implications of an oppressive society on the women that live in the Alba household. This, combined with twist and turns, generates an exciting plot. At the end of Act One, I thought it was appropriate my friend was playing Adela, I definitely did not at the end of the second act. The ending is climatic as several different plot points converge upon one ending. 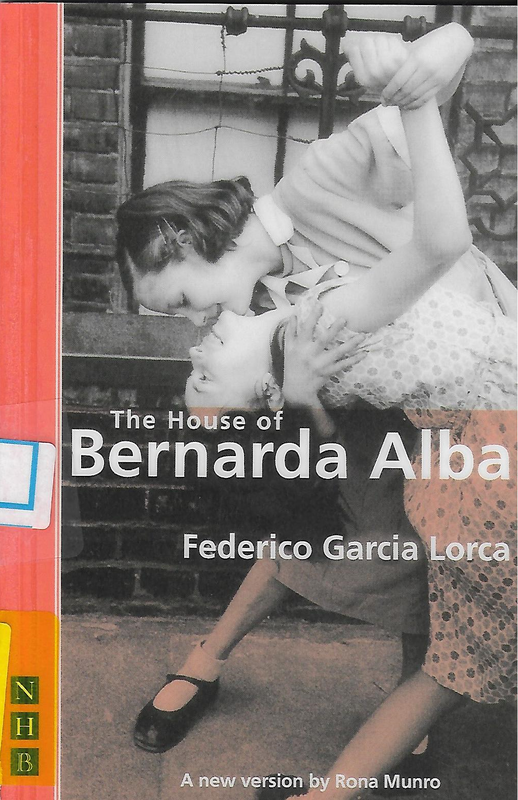 La Casa de Bernarda Alba is a gripping play that has stood the test of time. The lessons learned are still valid, as a parent goes too far in her control of her daughters, men take advantage of lonely women and jealously tears a family apart. I can’t give away much more of the plot without giving away spoilers, indeed I had to cut three paragraphs because of that, but this is certainly a fascinating read a remarkable expose by a playwright whose life was so tragically cut short. The play could be perhaps improved with this some greater detail, how the characters got to this position, and indeed there are several events mentioned that are very serious and heinous but not really touched in any detail, such as an oppressive husband, but this does not make the main story any less compelling. Next text to review: Homicide: A Year On The Killing Streets by David Simon.